While the magic of the Northern Lights attracts visitors in wintertime, seeing the Midnight Sun in summer provides a wonderful counterpoint and the chance to experience the landscapes of the far north in a very different way – the green, rolling mountain plains, the endless forests buzzing with life and the clear lake waters seem a world away from the deep snows and glittering ice of winter. For canoe tours in the far north, you can be on the water at one o’clock in the morning if you wish! Photo: Niki Nature Travels. In the northern hemisphere, the Midnight Sun phenomenon can be seen anywhere north of the Arctic Circle (provided it’s not cloudy of course!) Countries which have regions spanning the Arctic Circle are Sweden, Norway, Finland, Russia, Iceland, Greenland, the United States (Alaska) and Canada. Although the phenomenon also occurs in the southern hemisphere, south of the Antarctic Circle, there are no areas of human habitation sufficiently far south apart from research stations. Depending on terrain and varying slightly from year to year, the Midnight Sun can also be seen up to 90km south of the Arctic Circle. Being awake in the middle of the night with the sun still shining is a magical experience. Photo: Dai Larner. Further south, although the sun won’t actually be visible 24 hours, it’s still very light during this period. Even as far south as Stockholm, for example, during Midsummer it’s never really dark, so you can still have the benefit of the lovely long hours of daylight even without travelling to the far north. At the Arctic Circle, the Midnight Sun will be visible from around 12th June to 1st July, either side of the summer solstice (around 21st June), and is visible for progressively longer periods the further north you travel. 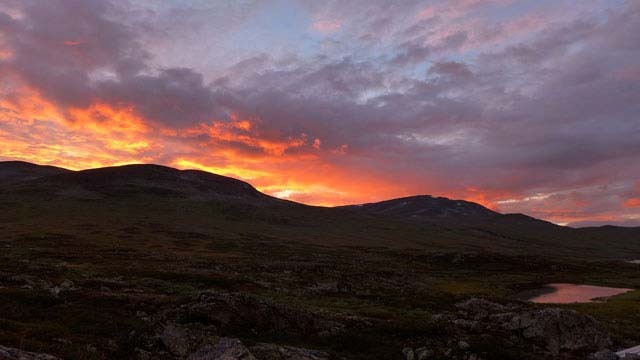 In Swedish Lapland, Midnight Sun shines from around end of May until mid-July, while in Svalbard, located 500 miles north of mainland Norway, the Midnight Sun can be seen for an incredible four months – from 19 April to 23 August! Will the Midnight Sun mean I won’t be able to sleep? You might find it hard, but don’t worry! There’s no doubt that suddenly finding yourself where the sun never sets does disrupt your body clock, and you may find it difficult to sleep, at least for the first few days. It’s not only the light, but also the temperature – since the sun never goes down, it doesn’t get cooler at night. I was travelling in the far north of Finland a few years ago in June during a heatwave when it was almost 30 degrees…and it was still 30 degrees at 2am! A good tip is to take a sleeping mask (save one from your next long-haul flight), which should help to convince your brain it’s nighttime. On the other hand, you will most likely find that you simply don’t need nearly as much sleep – if you feel wide awake and ready for a hike at three in the morning, just do it! Take advantage of the energy boost from all that extra daylight and make the most of the adventure! Why should I travel all the way to the north to see the Midnight Sun? You shouldn’t. Or rather, you shouldn’t go only to see the Midnight Sun. The experience of watching the sun going down and then magically turning round and rising again before it dips below the horizon is very special, but the other wonderful thing about travelling at this time of year is simply that it’s a great time to enjoy the outdoors. The endless daylight gives you great flexibility and freedom – you don’t need to worry if your day’s hike or paddle tour (or even dogsled tour – read about dog sledding in Svalbard below) takes much longer than you expected and can follow any rhythm that suits you. 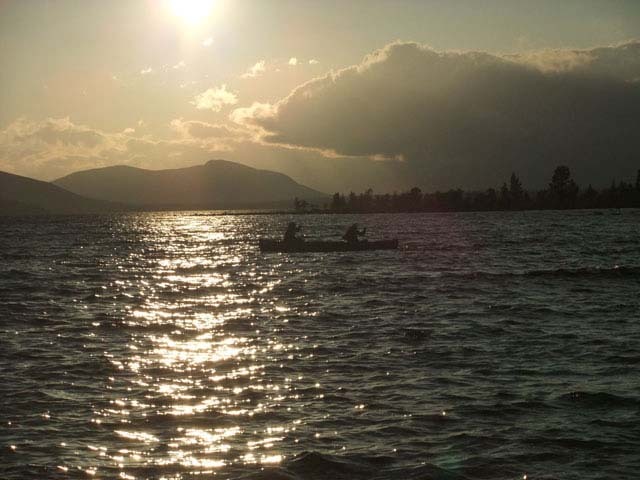 What outdoor activities can I do in areas where the Midnight Sun shines? The long hours of daylight during the northern summer make this an ideal time for outdoor activities. In the far north of Sweden, we offer a range of options for both guided and self-guided hiking, including hiking on the famous King’s Trail. As the sun dips towards the horizon, even if it never quite gets there, the skies can be spectacular. Photo: Meredithe Brown. For canoeing, our most northerly tours are those in the Rogen Nature Reserve in north-west Sweden. 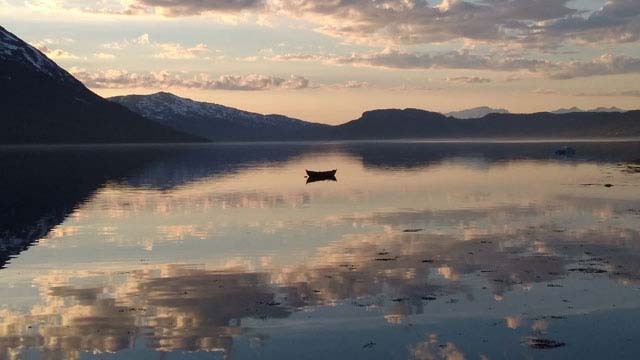 This isn’t far enough north for the Midnight Sun to be visible, but there’s plenty of daylight and you’ll still be able to be paddling at midnight if you wish! Canoeing in Rogen in north-west Sweden offers great chances to enjoy the long hours of summer daylight. Photo: Bob Nature Travels. Finnmark, in the north of mainland Norway, is the location of Aurora Husky Adventure in Finnmark in wintertime, but in summer the area can be experienced in a very different way, with a stay at the Log Cabins at the Husky Lodge. 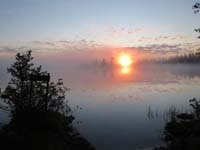 The Midnight Sun here shines from mid-May to late July. Keep going north to Svalbard and you’ll have the very special opportunity to combine Midnight Sun (normally considered a summer phenomenon) with dog sledding and winter camping – this is the perfect time for extended dogsled tours in the mountain wilderness. Our Midnight Sun Dog Sledding in Svalbard tours take place from mid-April to mid-May! 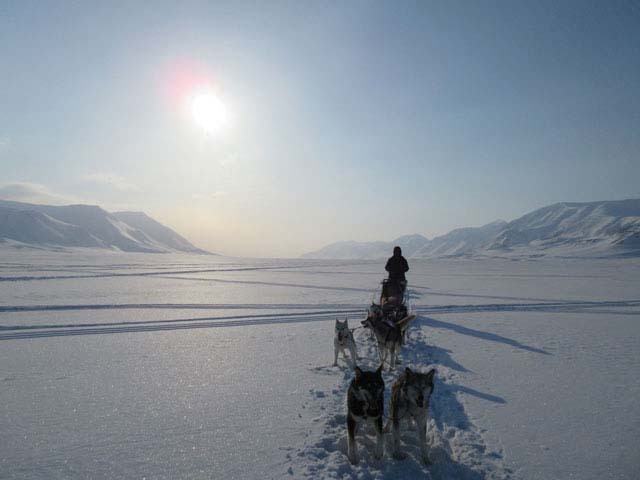 In Svalbard, the winter season extends far into May, and with the Midnight Sun appearing earlier here than further south, it’s a great time for a dogsled expedition! Photo: Keith Slater. However you choose to experience the Midnight Sun, this period in the far north is a very special time. Here’s to the warm, endless, glorious days of summer!